We would like invite all of our families and the local community to come along and celebrate the creativity and artistic talents of our children and dedicated educators at our annual Art Expo & Arts and Craft Fair on Saturday 7th October from 9am to 12pm. Kids on 4th’s annual Art Expo is a wonderful opportunity to showcase the amazing artwork created by all of the children and for our families to spend a fun morning together. Along with the art exhibits we are hosting an Art and Craft Fair with lots of family craft activities, as well as face painting, art activities, live music and a craft workshop from the Craft Parlour. 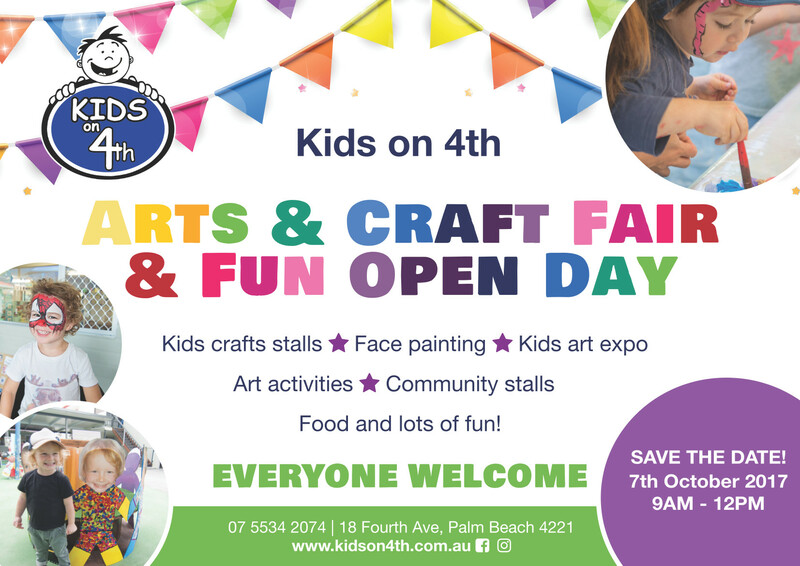 This is a special day in the Kids on 4th calendar and we look forward to seeing you, your family and friends there!